With rich revelry and reckless mirth. With lords and ladies, as it delighted them. As those here on the hill. In this passage, the glitz and glamour of King Arthur’s court is beautifully described. The poet’s use of imagery in this passage is consistent with the rest of the poem. Through detailed description of the actions of the people of the court, the poet is able to paint a vivid image of what it must have been like if any one had been able to catch a glimpse of the lifestyle of the court during that time. 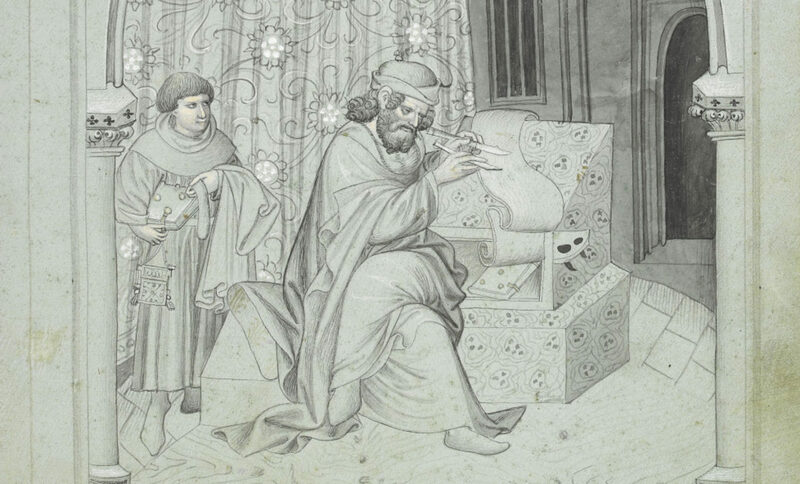 Along with his unique ability to create imagery for the reader, the poet was also part of a literary movement during the late-fourteenth century most commonly known as the alliterative revival. The poet’s use of alliteration can be seen throughout the poem. 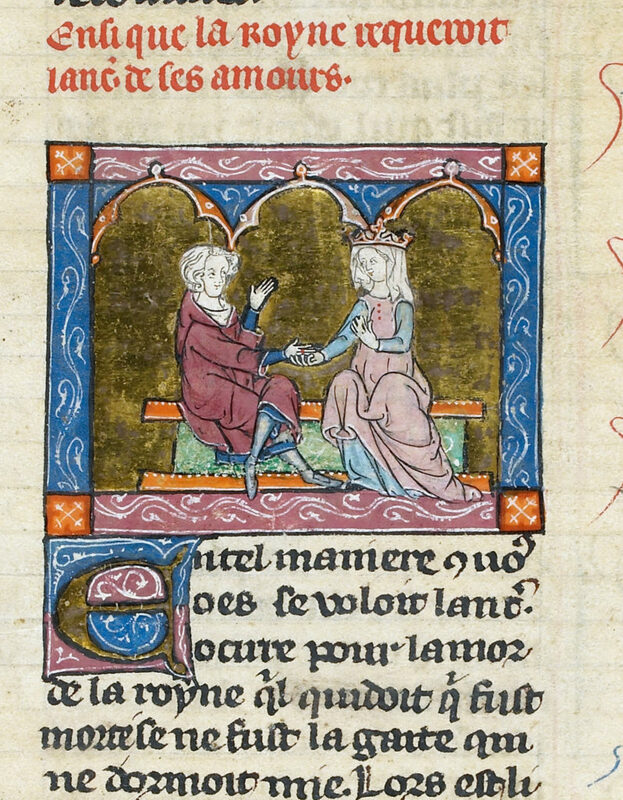 Although often compared to Chaucer’s style, the Gawain-poet’s use of alliteration is different because it enables the reader to imagine as if he or she was actually a participant of the story. 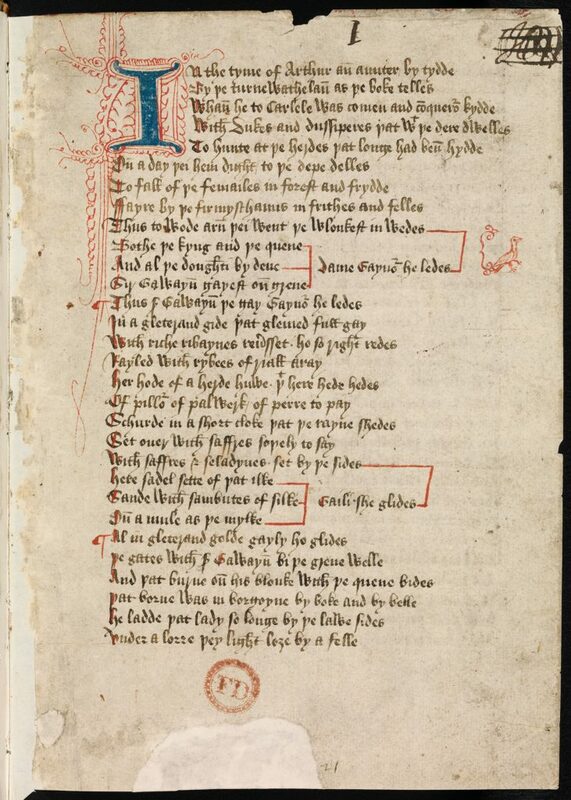 Chaucer preferred to keep a narratorial distance from what he was describing while the poet makes it possible for the audience to become involved in what is seen by an observer within the actual text. This ties back to the poet’s ability to create vivid images. There is always difficulty in capturing all the purposes of a poem when it is being translated, and although Marie Boroff’s translation is considered one of the best, there are still instances when her translation loses certain aspects of the original passage. 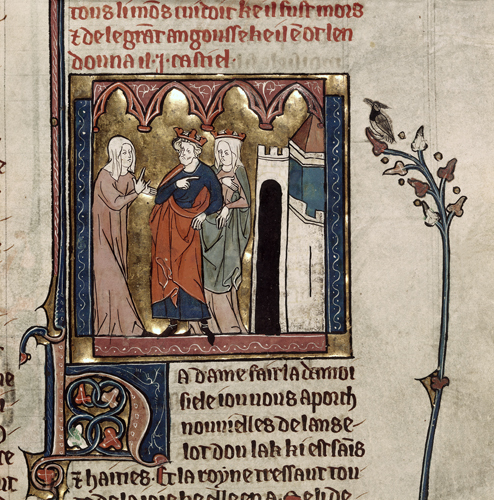 What makes King Arthur an interesting character in this poem is how he only plays a minor role, making appearances at the beginning and end, and yet the poet spends a great deal of time devoted to describing King Arthur and his court. King Arthur and Camelot were greatly influential in early medieval romances, representing a group of chivalrous men who were not stained by the corruption affecting real kings and courts at that time. 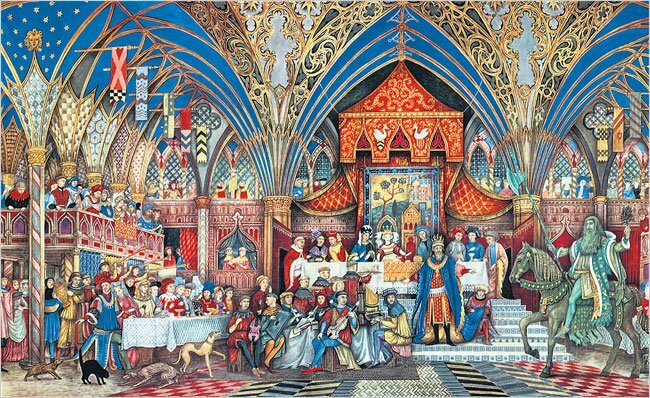 In Sir Gawain and the Green Knight, King Arthur’s court serves as a happy safe haven for knights like Gawain. 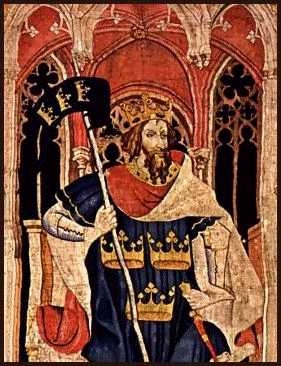 As part of the dedication to describing King Arthur’s court, the poet wrote, “With mony luflych lorde, ledez of þe best” (38). Borroff’s translation is, “Many good knights and gay his guests were there.” Although the literal meaning is not lost in the translation, the nobility and courtliness of these knights being lords and leaders is lost. Borroff’s translation dilutes the greatness of these men. Another example of this in the passage is when Borroff translates the original poet’s “With alle þe mete and þe mirþe þat men couþe avyse:” (45) to “With all the meat and the mirth that men could devise.” Although this is essentially the literal translation of the original text, describing a feast as meat in modern English leads to the description losing all of the elaborate glamour and luxury and making it very aggressively concrete. There were also moments when Borroff’s translation was too literal, not taking into account how modern English has led to different understandings of certain terms and phrases. The original poet wrote, “Justed ful jolilé þise gentyle knig3tes,” (42) and Borroff translated this as “Joined there in jousting these gentle knights.” Although this closely follows what the original poet had written, in a modern day translation, “gentle knights” is somewhat of an oxymoron, especially when these knights are jousting, which is not considered a gentle activity. Borroff’s maintenance of alliteration in her translation at times also affects the deeper understanding behind certain lines. 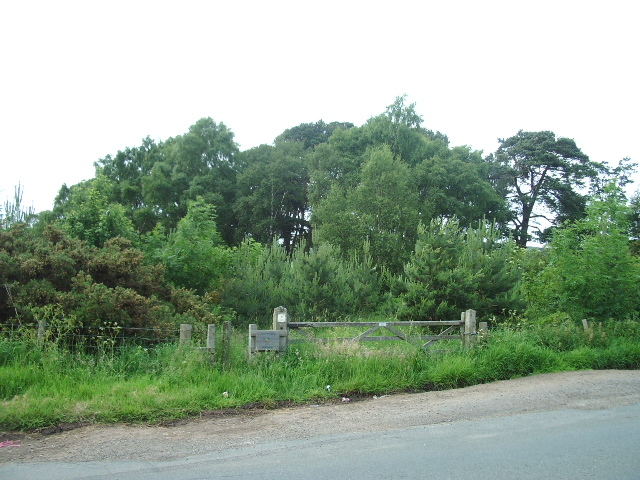 For example, the original poet had written “For al watz þis fayre folk in her first age/On sille.” (54-55). 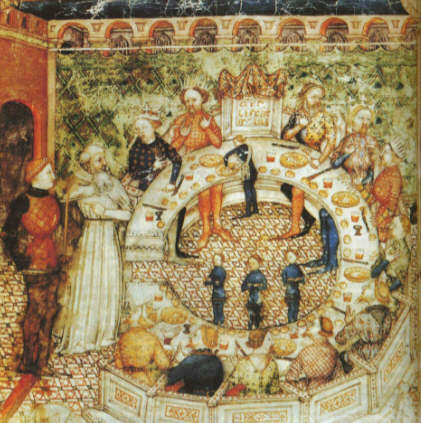 In trying to keep the alliteration as well as the most literal translation possible, Borroff wrote “For all this fair folk in their first age were still.” This part of describing King Arthur’s court is putting emphasis on how all the members of the court were in their prime at this time, filled with life and youth. By maintaining that the knights and ladies of the court were in their first age, Borroff’s translation of them being in their prime is lost in modern English. Another example of Borroff’s translation leading to more confusion from the perspective of a modern English reader is when she translates the original poet’s “With all þe wele of þe worlde þay woned þer samen” (50) as “In peerless pleasures passed they their days.” Peerless pleasure is not a common term used today and brings forth more negative connotations of aimless pleasure, which was most likely not the poet’s intention in describing how the court spent their time. Overall, although Marie Borroff is an incredibly gifted poet who has made a very successful translation of Sir Gawain and the Green Poet, after a careful analysis of both passages and comparing the two, it is only made more clear that nothing could ever be compared to the original text. Andrew, Malcolm, and Ronald Waldron, Eds. 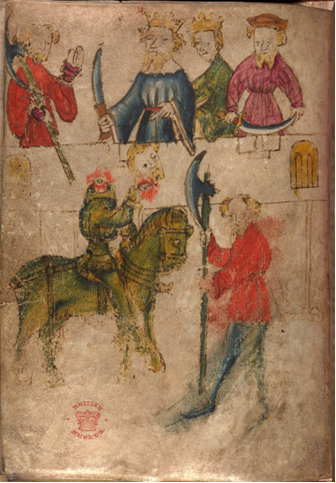 The Poems of the Pearl Manuscript: Pearl, Cleanness, Patience, and Sir Gawain and the Green Knight. Exeter: U of Exeter, 2007. Print. Borroff, Marie, trans. and Ed. The Gawain Poet: Complete Works: Patience, Cleanness, Pearl, Saint Erkenwald, Sir Gawain and the Green Knight. New York: W.W. Norton, 2011. Print.